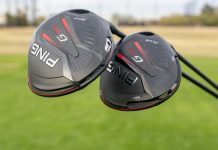 From the professional tours to your local muni league, every golf swing out there is unique. Of course, some look more polished than others. 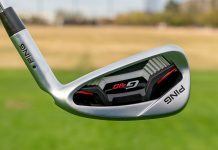 When it comes to the best performing golf swings, though, even those dramatically different in appearance have commonalities between them. 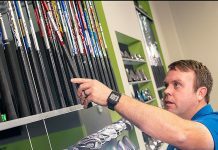 Through the big data research compiled at GOLFTEC after measuring thousands of swings in our SwingTRU Motion Study, we’ve factually honed in on some of the most important keys to a good golf swing. 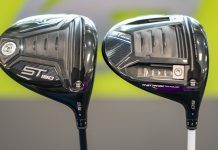 What we’ve found is that while Jim Furyk and Dustin Johnson’s swings perhaps couldn’t appear more different, they both have foundational similarities that dictate their ability to hit the ball well. Golf, by its very wonderful (and frustrating) nature, is a complicated game. That’s why if you’ve ever seen a tour player hit the ball up close, it’s something you won’t soon forget. 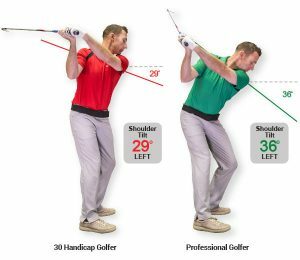 As complex as the golf swing is, three key movements centered around how your shoulders turn in the backswing, tilt in the backswing and bend in the follow-through are some of the biggest differences between how amateur golfers measure up to the pros. 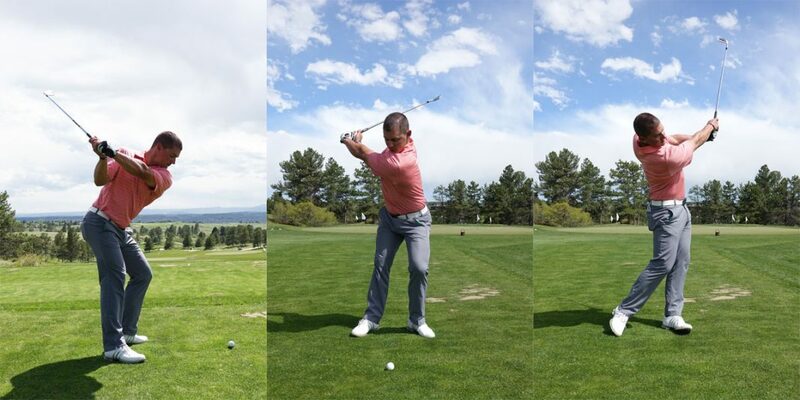 They’re also three of the easiest movements to improve for any golfer. We often hear golfers claim they’re not flexible enough to turn nearly 90 degrees away from the target like the pros. 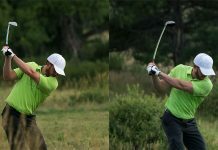 In reality, there are body movements in the backswing that can increase how much the shoulders turn if done correctly. Many golfers, for example, try to restrict their hips and maintain knee flex with the trail leg in the backswing in an effort to “coil up” and generate power. Doing that can actually impede power and greatly restrict how much the shoulders turn. 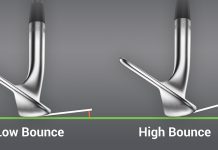 By instead straightening the trail leg in the backswing, both the hips and shoulders can turn with less restriction and ultimately generate more power, consistency and the coveted, “in-to-out” swing path my golfers struggle to achieve. 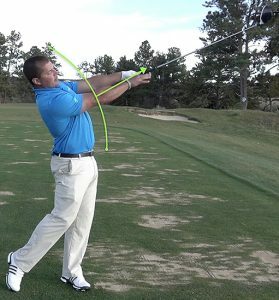 Shoulder tilt is one of the most important aspects of the swing you may have never thought about. Many higher handicap golfers tend to reach the top of their swing with the shoulders more level to the ground than the average pro, whose lead shoulder is often much lower and more toward the ground than the trailing shoulder. 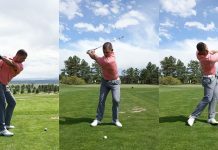 To revisit the tip of increasing shoulder turn by straightening the trail leg, doing that can also help to create more shoulder tilt at the top of the swing. 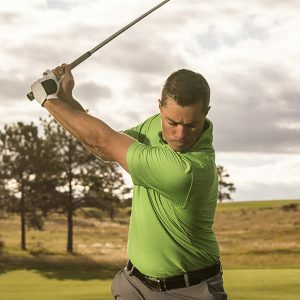 The third key to a good golf swing is bending your upper body slightly backward in the follow-through, while extending (or stretching) your arms toward the target. 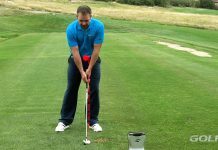 Golfers that hit the ball short and inconsistently tend to do the opposite — bend the upper body more forward, with their arms remaining bent and close to the body. 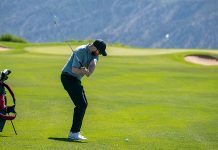 Ultimately, shoulder tilt and shoulder turn in the backswing, and the backward bending of the upper body in the follow-through, are three common elements pretty much all good golfers have in common — no matter how different their swings may appear. In the video below, Nick Clearwater stops by Golf Channel’s ‘Morning Drive’ to explain these key movements in motion. Check it out and if you need help with how these moves pertain to your swing, contact a GOLFTEC near you today. 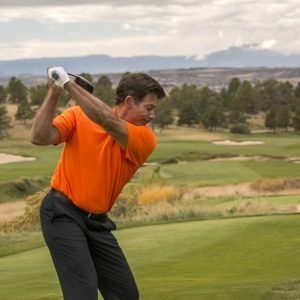 Nick Clearwater shares three keys to a good golf swing and demonstrates how you can add the right amount of each movement into your own swing.